, a collaboration between Australia’s Commonwealth Scientific and Industrial Research Organisation (CSIRO), James Cook University (JCU) and Verily, released sterile, male Aedes aegypti mosquitoes with Wolbachia into central Innisfail and several nearby communities to research whether we could suppress the population of these dangerous invasive mosquitoes. We came to Innisfail with CSIRO and JCU to see how Debug’s approach to reduce mosquito populations with SIT would work in a tropical environment where these mosquitoes thrive, and to learn what it was like to operate our technology with research collaborators a long way from our home base. For more than six months, our partners at CSIRO and JCU reared millions of Aedes aegypti, used our tools to remove the biting females and released more than 3 million males into three neighbourhoods around Innisfail. The CSIRO field team monitored mosquito traps and performed releases three times a week through a drought, a cyclone, and flooding in a week that brought nearly 30 inches of rain. With the Debug Innisfail releases now finished for this season, we’re extremely happy to see the program achieve strong suppression of Aedes aegypti mosquitoes. The trap and monitoring data show that the occurrence of biting, female Aedes aegypti mosquitoes decreased by more than 80% in the three release areas relative to similar, untreated sites in the Cassowary Coast. This is a result we’re proud of and it reflects the hard work and collaboration across our partnership. 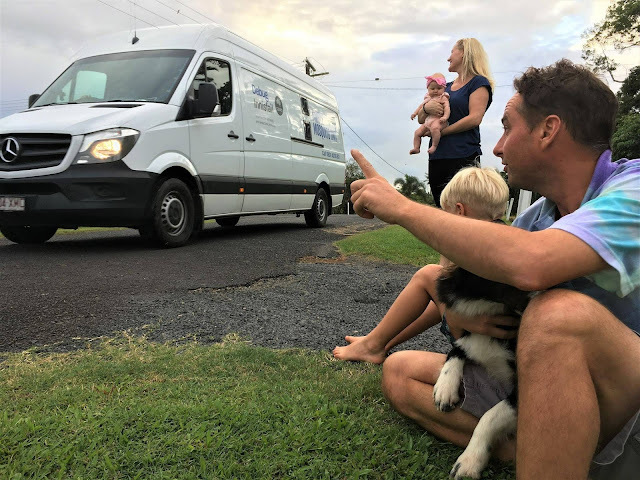 We are particularly thankful to the people of Mourilyan, South Johnstone, Goondi Bend and the rest of the Cassowary Coast region for their strong support. The community has been incredibly welcoming, hosting surveillance traps in their homes, coming to events, and supporting the team as they conducted releases. Residents of Mourilyan wave at the Debug Innisfail van. Photo credit: CSIRO. Beyond the field results, Debug Innisfail represents an important step in the development of Verily’s Debug project: we’ve worked with and supported our partners at CSIRO and JCU as they used our technologies on the other side of the world to make and release mosquitoes. We’ve all learnt a huge amount about how to design and operate a successful Sterile Insect Technique program, and this experience is already being applied to our ongoing work. During this past wet season in Far North Queensland, Debug Innisfail, a collaboration between Australia’s Commonwealth Scientific and Industrial Research Organisation (CSIRO), James Cook University (JCU) and Verily, released sterile, male Aedes aegypti mosquitoes with Wolbachia into central Innisfail and several nearby communities to research whether we could suppress the population of these dangerous invasive mosquitoes.